You should know by now, that I’m not the craftiest of moms when it comes to kids crafts. However, my daughter loves them. So we do what we can. 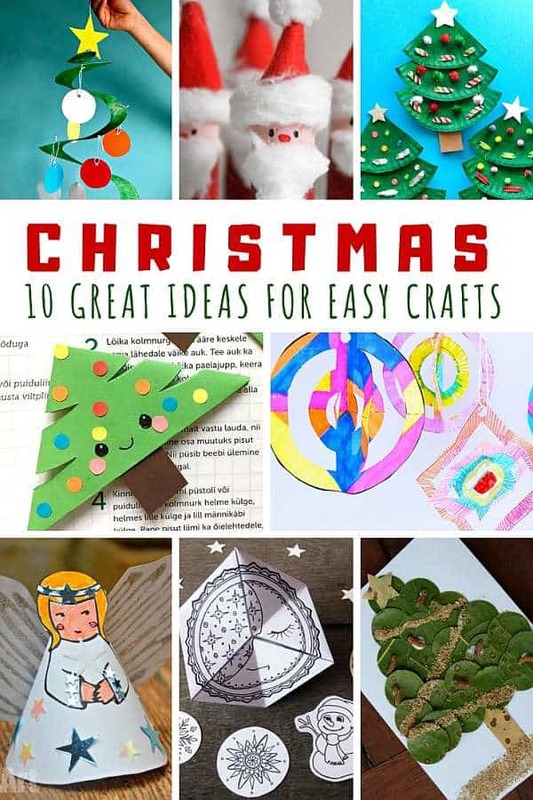 I think even I can handle some of these great ideas for making Christmas crafts easy. Probably the best part of Christmas crafting with kids is creating memories as we spend time together around holidays, laughing and making different items together. 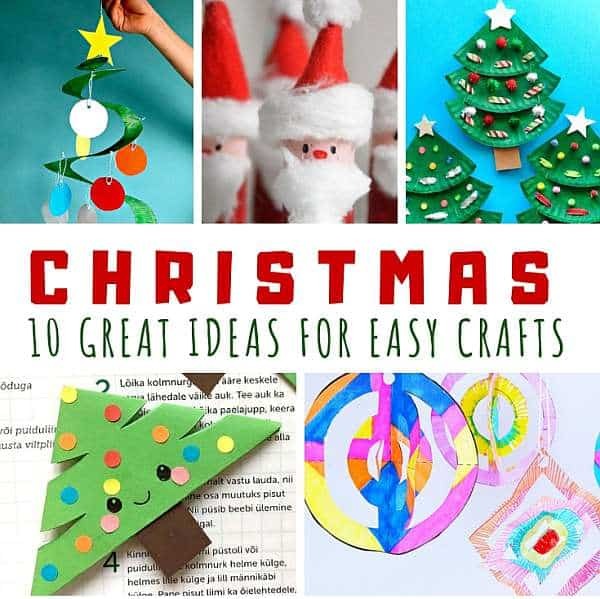 We also love easy paper Christmas crafts because they don’t take long to complete and they look wonderful when finished and used to decorate our home in festive colors. Paper crafts are amazing. So versatile and fun. If you’re wrapping up Christmas books under the tree, make several of these supercute Christmas tree bookmarks and slip them inside the wrapping! We have other designs of Christmas bookmarks to choose from, if you would like a variety of designs! Science and craft collide in this fun science Christmas printable! Print it out and color before assembling, or use as an inspiration to make your own different designs! Angels around Christmas are most welcome! We adore making and displaying little angels around our home! Don’t you love them as well? Use this paper angel printable to make several of them as decoration for your Christmas tree or string them together to make a lovely garland! Kids love making their own toys! Especially if they are as fun as these Christmas paper toys. Easy to make them, just print, cut, color and glue to have it ready for play! Homemade Christmas ornaments don’t have to be super hard to make to look beautiful. We love how kids can decorate their own 3D Christmas ornaments using printable template. They can stick to color combination you agreed upon or decorate freely as they like. Tearing paper is so satisfying! Every child enjoys turning sheets of paper into shreds, right? When done, make easy torn paper Christmas wreath to display on your front doors. Great workout for little fingers if you have younger kids. Christmas crafts can be created from nature finds as well. Collect different things during your walks with children and then use your finds to make adorable nature Christmas cards. Different than sending store-bought cards but surely as beautiful! Twirling and whirling, oh the fun! Make paper plate Christmas twirler and bring fun into your home! Kids adore making these movable crafts and they look pretty hanging near your windows during holiday season! Few paper plates, some ribbon, paint and sequins are needed to make these easy paper plate Christmas tree. Paper plate give such a nice texture on the edges and lacing is great for little hands to work on fine motor skills. If you have younger kids, paper crafts are perfect way to keep them entertained during holidays when you need more time to prepare everything. It gives them a feeling of anticipation and also contribution in spreading Christmas spirit around the home. Lovely time of the year for family bonding over crafts for sure! And then, years after, when kids are all grown up, you will have all lovely keepsakes from past Christmas holidays to remember the fun you had together!